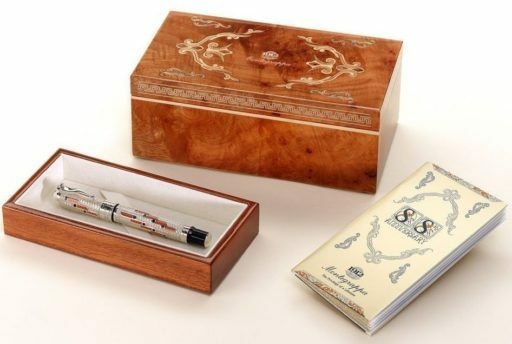 DESCRIPTION: Montegrappa celebrated its 88th anniversary with a unique limited edition of 888 fountain pens in sterling silver and 88 pieces in 18K gold. A collection in which the combination of bright synthetic lacquers and minute details, with original forms and intense colours, recalls the Art Déco period. 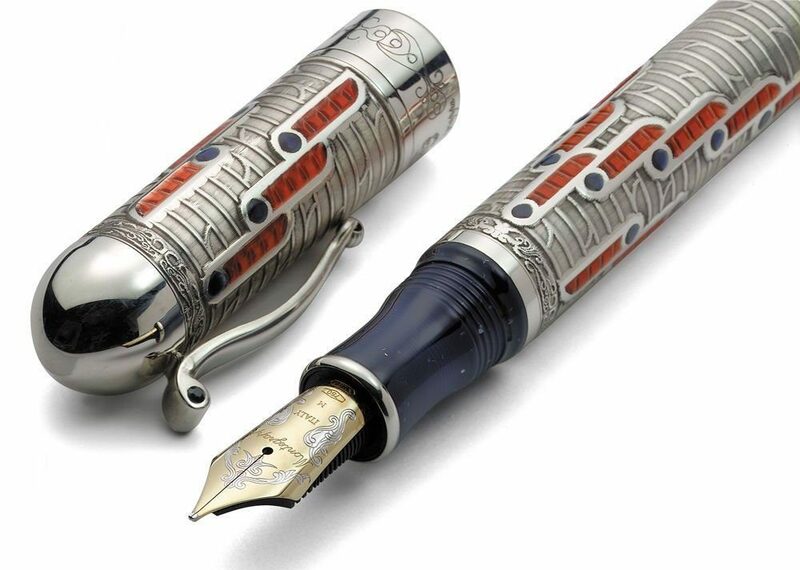 Adorned using the exclusive technique of low-relief engraving, every single piece of the 88th anniversary edition stands out for the soft curves and the symbolic representations of goose pens, distributed across the body: the small blue dots represent the ink, while the amber decorations recall the pen. 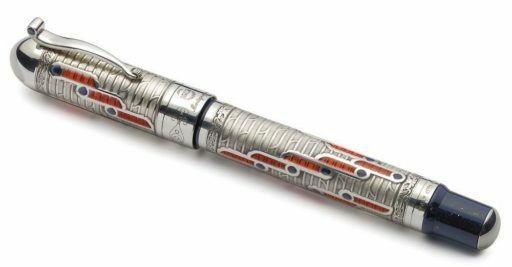 The particularly flexible nib is manufactured in bicoloured 18K gold, it is finely engraved with floral designs that are repeated on the body and on the cap. The piston filling system provides a regular ink flow controlled by the hand turned ebonite feeder. 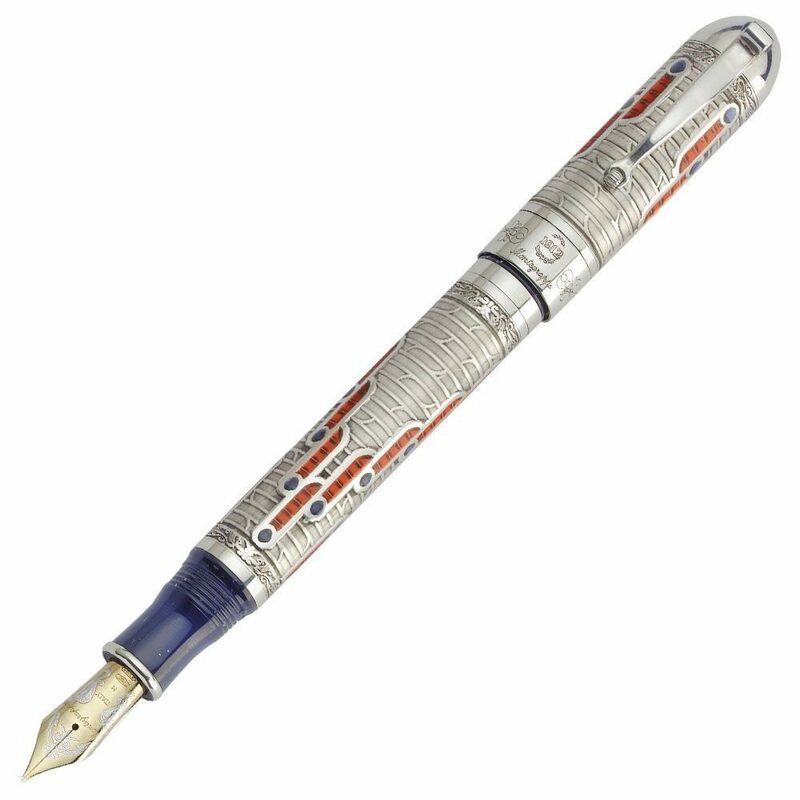 The resin used for the grip and the stub is brightened by tiny particles of silver, while the clip, a superb example of perfect design, is enhanced by two sapphires and the characteristic rotating sphere, a personal note of Montegrappa’s creations.